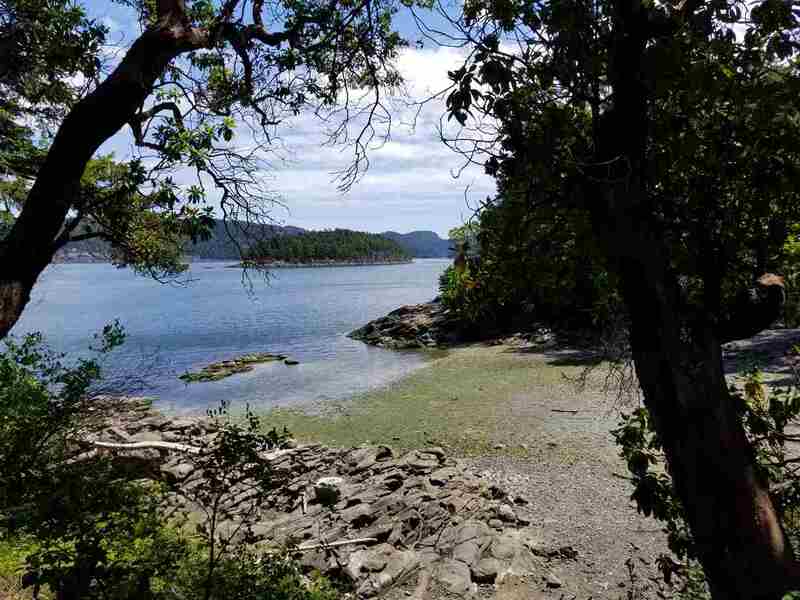 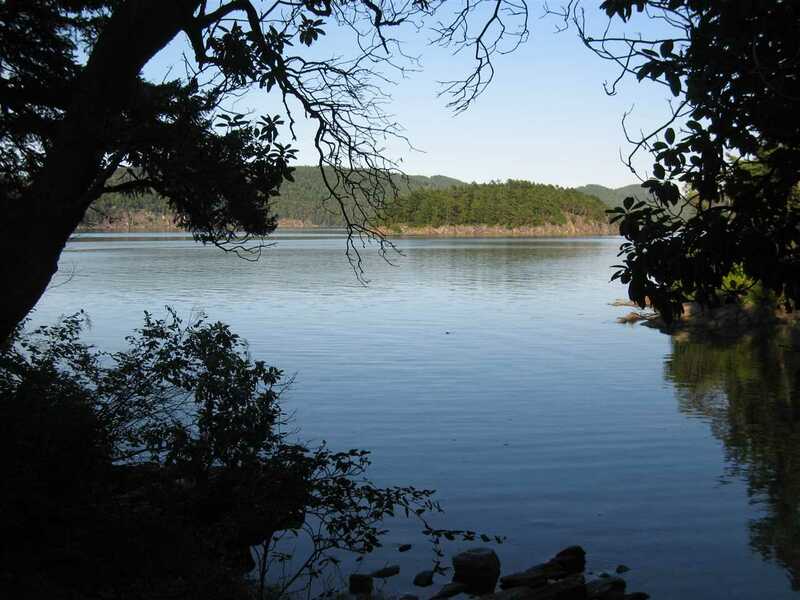 Fine waterfront point property on 0.4 forested acre on Wise Island. 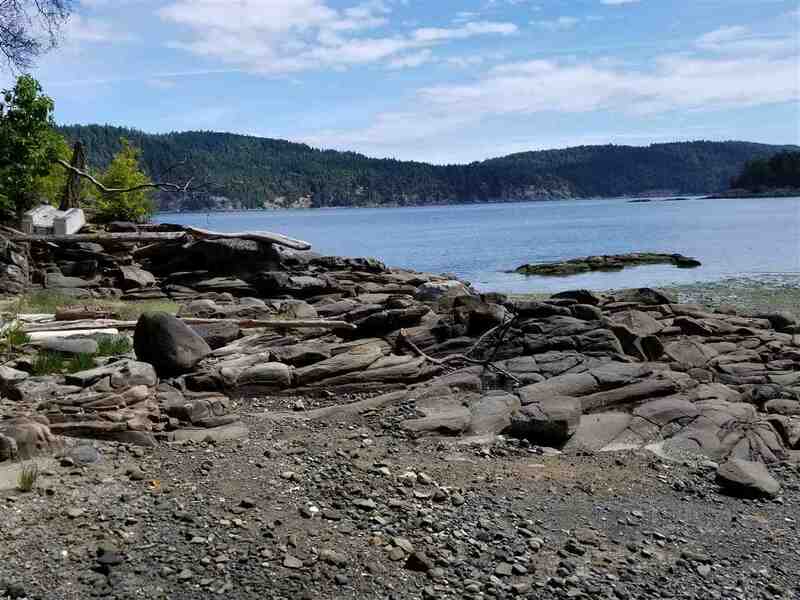 Fully useable land. 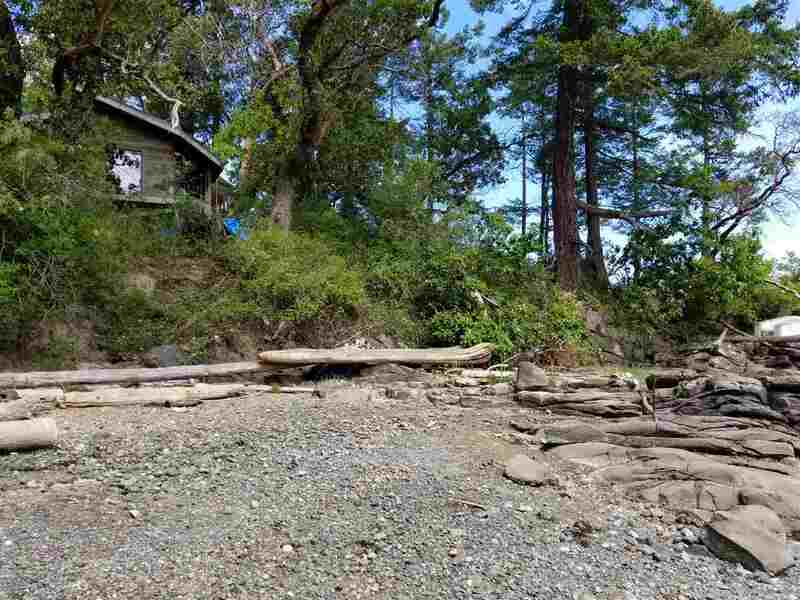 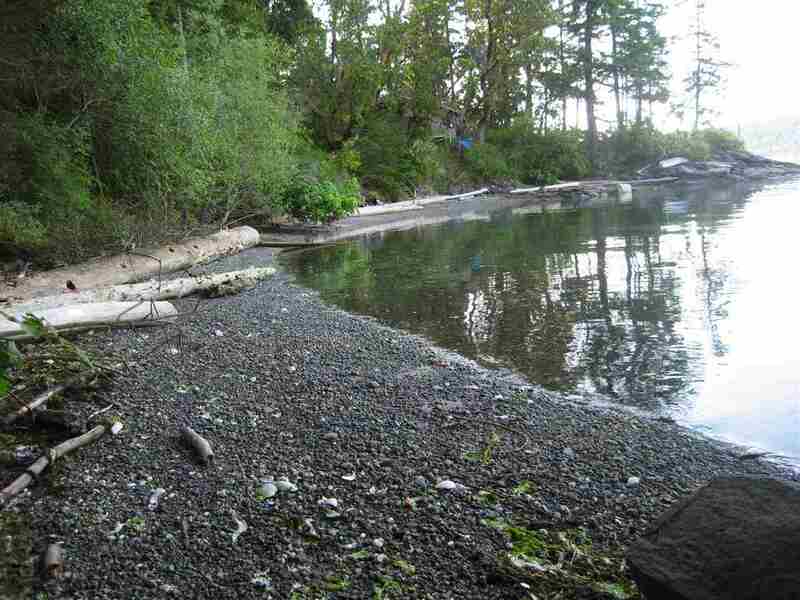 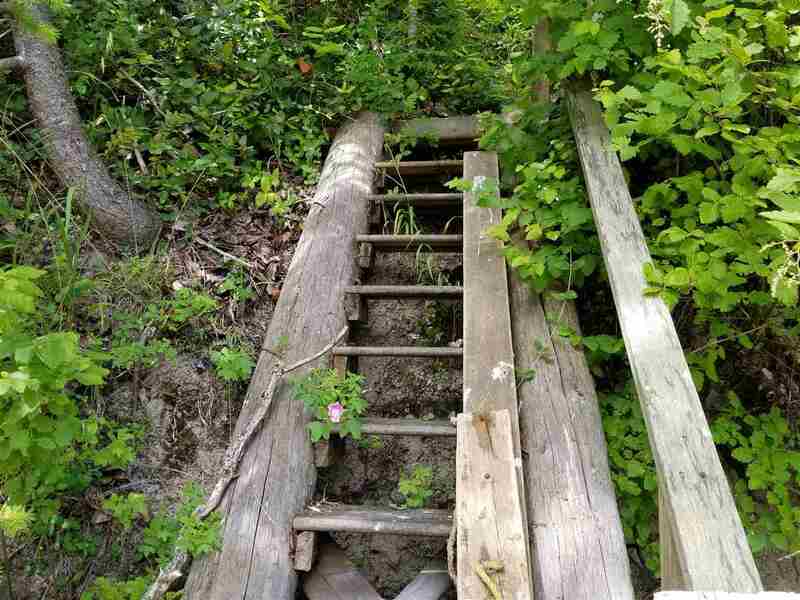 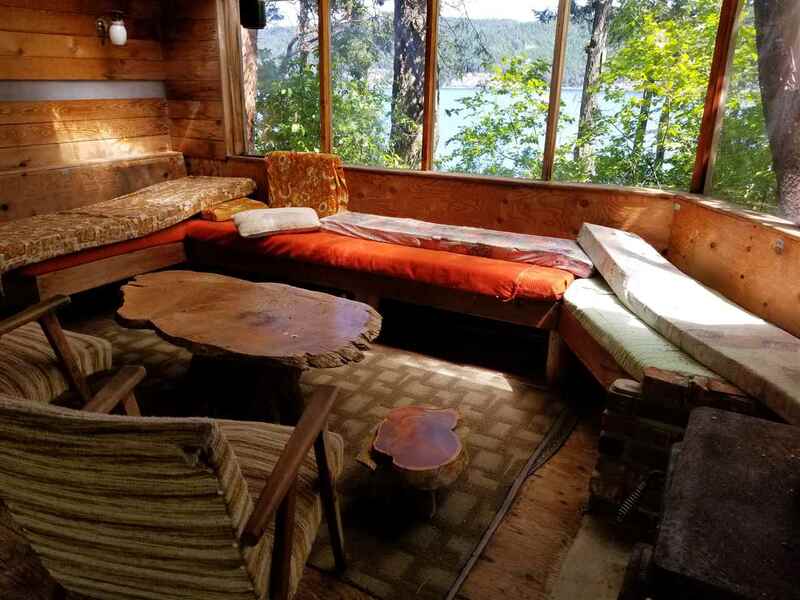 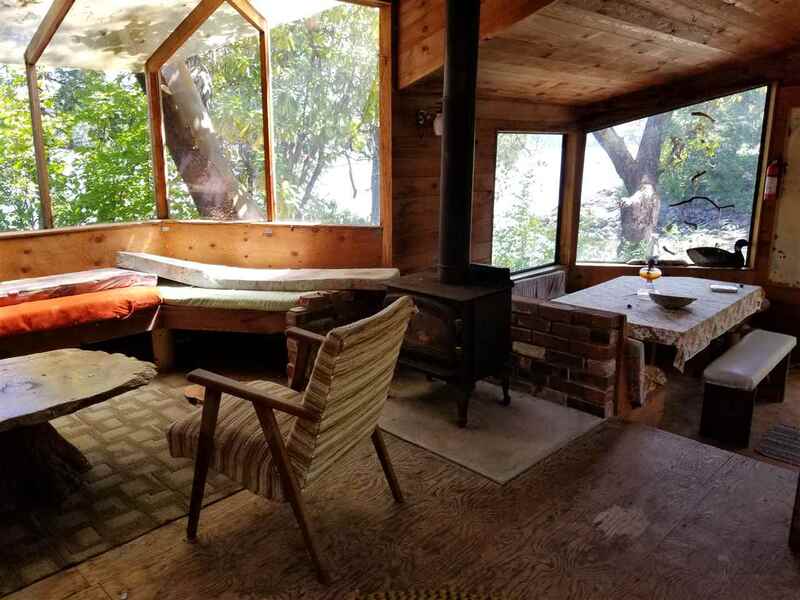 Rare low bank waterfront cabin with a sandy beach in a shallow bay that dries out at low tide. 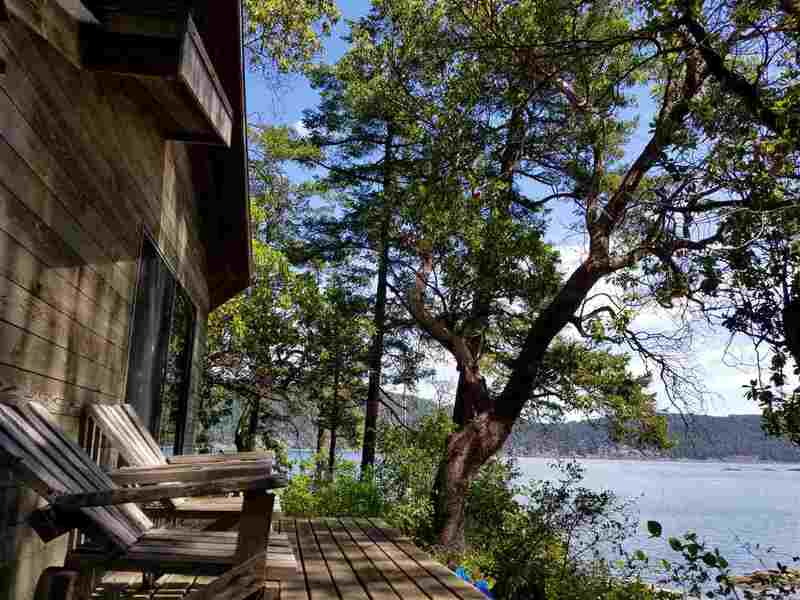 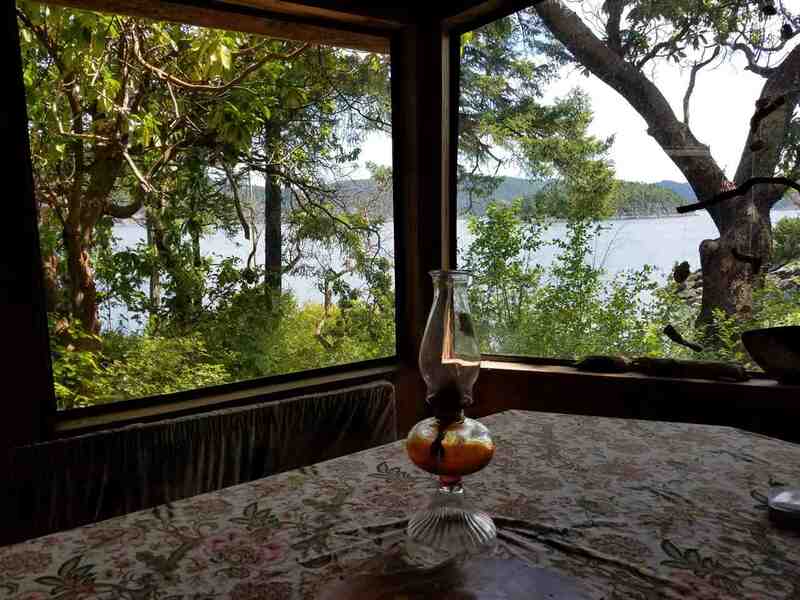 Exquisite panoramic views of Trincomali Channel across to Galiano and eastwards towards Montague Provincial Park with its wonderful shell swimming beaches. 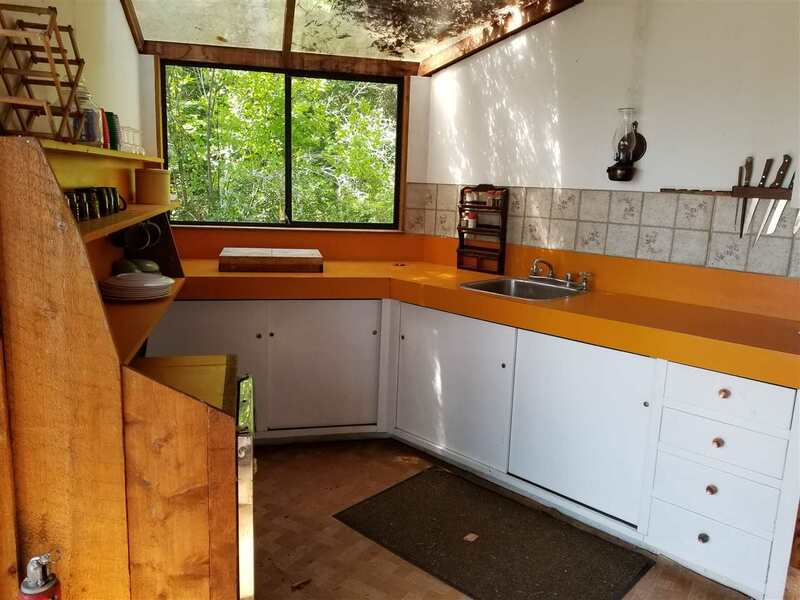 Connected to a community water system. 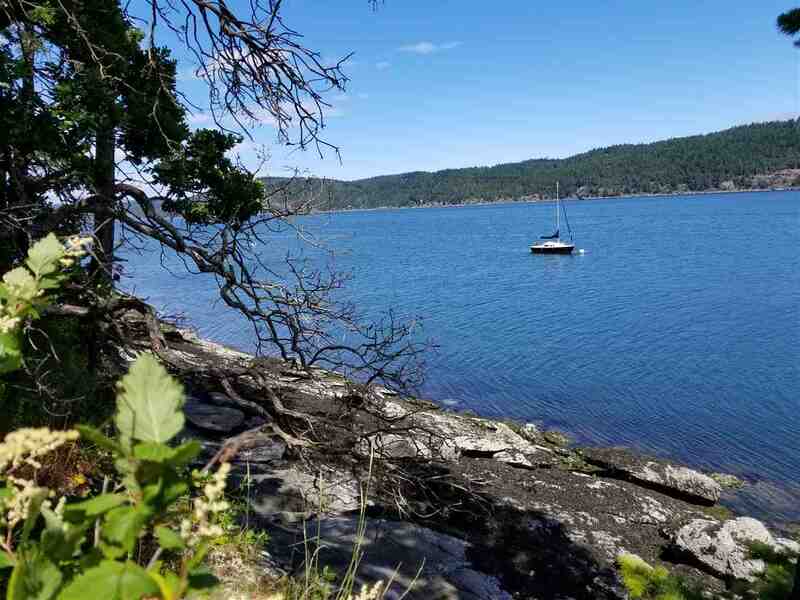 Wise Island is located between Galiano and Salt Spring Island and is easily accessible from protected Montague Harbour on Galiano or from Ganges on Salt Spring Island. 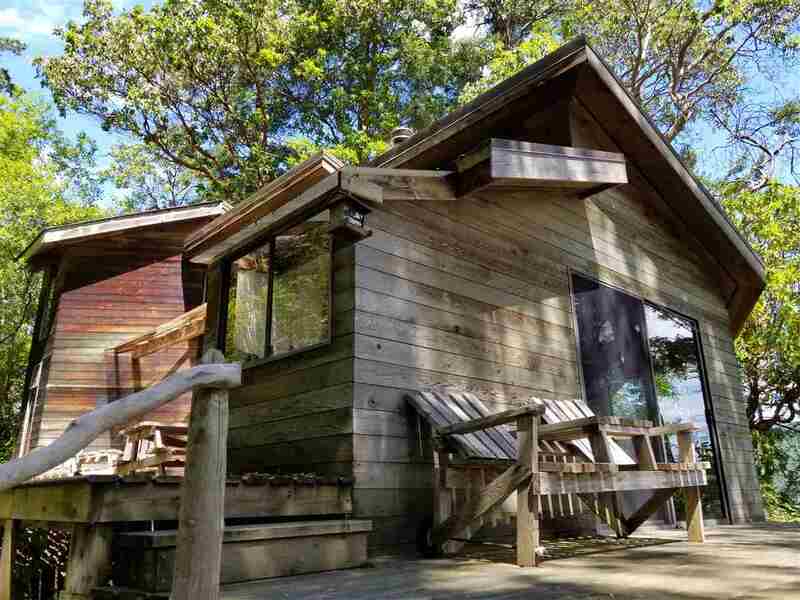 A wonderful property for families with kids. 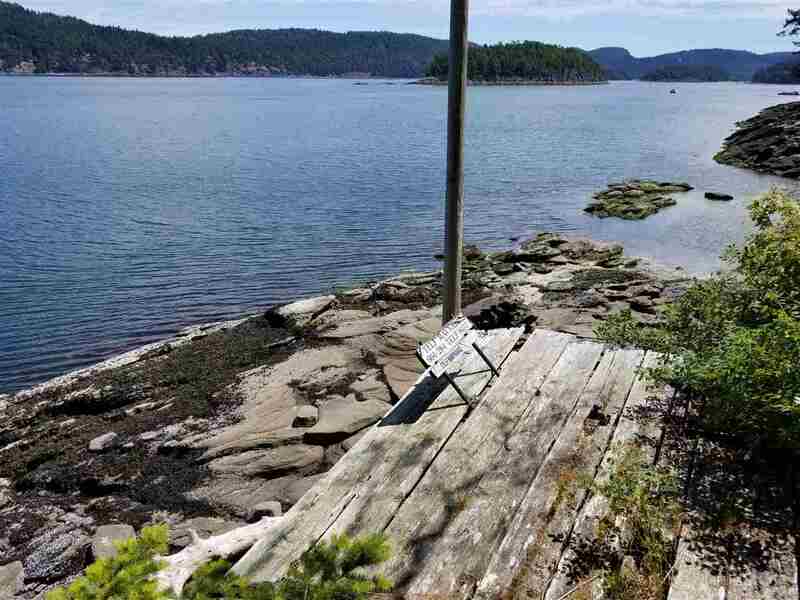 Go for a swim, circumnavigate Wise Island by kayak or watch the setting summer sun up Trincomali Channel. 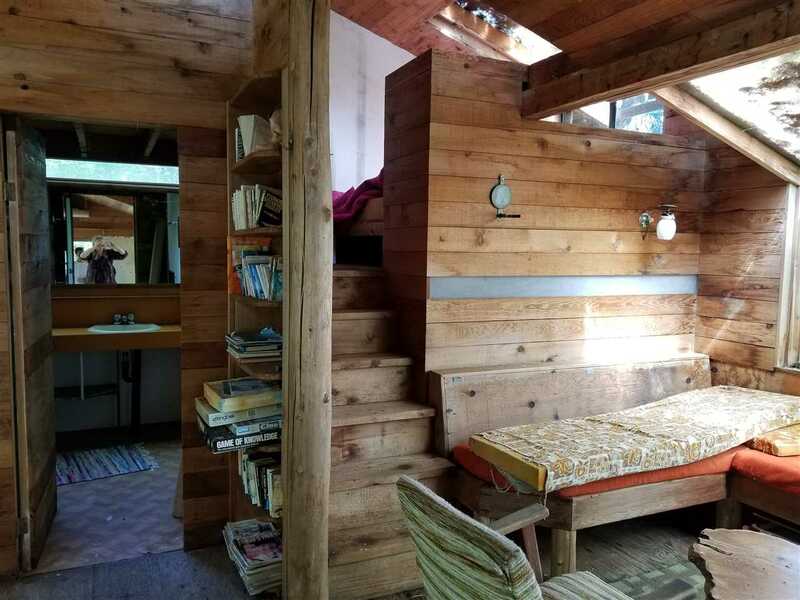 Rustic cabin is well appointed on the land!